Get a preview of the just-opened hit exhibit from the Metropolitan Museum of Art, Devotion to Drawing: The Karen B. Cohen Collection of Eugène Delacroix. Page Knox of Columbia University an the Met will talk about Delacroix from 7 to 8 p.m., Thursday, Sept. 20 at Darien Library. 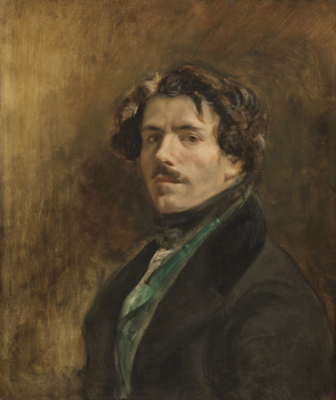 Renowned as a giant of French Romantic painting, Eugène Delacroix (1798–1863) was equally a dedicated and an innovative draftsman. Through a selection of more than one hundred works on paper—from finished watercolors to sketchbooks, from copies after old master prints to preparatory drawings for important projects—this exhibition explores the central role of drawing in Delacroix’s practice. The exhibition celebrates a major gift to The Met from Karen B. Cohen, an Honorary Trustee and longtime supporter of the Museum, of her renowned collection of drawings by Delacroix. Assembled with an eye to the artist’s process, the collection highlights the ways in which drawing shaped Delacroix’s artistic development throughout his career; his application of the medium in the preparation of prints, paintings, and public decorative programs; and his investment in the expressive potential of his materials. As the first North American exhibition devoted to Delacroix’s drawings in more than fifty years, it introduces a new generation to the artist’s draftsmanship. Page Knox is an adjunct professor in the Art History Department of Columbia University, where she received her PhD in 2012. She works in a variety of capacities at the Metropolitan Museum of Art: for the Education Department she gives public gallery talks and lectures in special exhibitions as well as the permanent collection; for Membership she teaches classes at the museum; and, more recently, for Development she will be leading groups for Travel with the Met.